Prolotherapy, also known as proliferation therapy, is an alternative approach to alleviating musculoskeletal and connective tissue pain. The treatment involves injecting an irritant solution (such as hyperosmolar dextrose sugar) into a joint, a lax ligament, or a strained tendon. Other agents commonly used are glycerine, lidocaine, phenol, and sodium morrhuate. 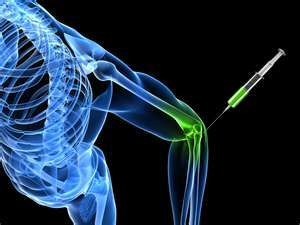 The rationale behind prolotherapy is that injection of a non-irritating substance will trigger the body’s inflammatory process which creates new fibers in the muscles. This allows for healing and repair of damaged or weak tendons and ligaments. This in turn decreases pain because the previously weakened areas no longer transmit pain signals to the brain. Frequency of treatment is every two to six weeks for several months or until pain subsides. Prolotherapy is most commonly used to treat low back pain, knee osteoarthritis, neck strain, costochondritis, Achilles tendinopathy, lateral epicondylitis, and fibromyalgia. Historically, prolotherapy was first used in the 1930s to treat ligament laxity. In the 1950s, Dr. George S. Hackett, a general surgeon in the United States, used the technique to treat hernias and joint pain, and his work was continued by Dr. Gustav Anders Hemwall shortly thereafter. A literature review in 2006 revealed that prolotherapy is more beneficial when used in conjunction with physical therapy, spinal mobilization, and costicosteroid injections to treat low back pain compared to prolotherapy alone. Some of the side effects may include local pain and/or numbness at the injection site, or mild bleeding. Unfortunately, most insurance companies, including Medicare, do not cover this type of treatment.